The resulting improvements to my health were both quick and unmistakably due to his recommended treatment regime. Between that almost 2 year ago experience and now I've done many additional things to fine-tune my overall health and understanding of my body. The 2nd and just recent noticeable health improvement appears to be solely due to frequent, routine use of the Personal Portable Oxygen Bar I purchased upon Dr Z's recommendation, combined with daily use of the Eyelights he fitted me with. The most recent improvement has been a significant, very noticeable increase in my overall strength, endurance and mental aptitude. In our daily workout at the gym and especially in the water aerobics class, I'm like the Eveready bunny--I just keep going and going. It is not only during our morning exercising though. The strength and endurance lasts all day and is apparent in everything I do. My mental state is sharper too. I feel much more 'wired' and turned on to life as it comes at me every day. It is amazing to feel this good on a daily basis. 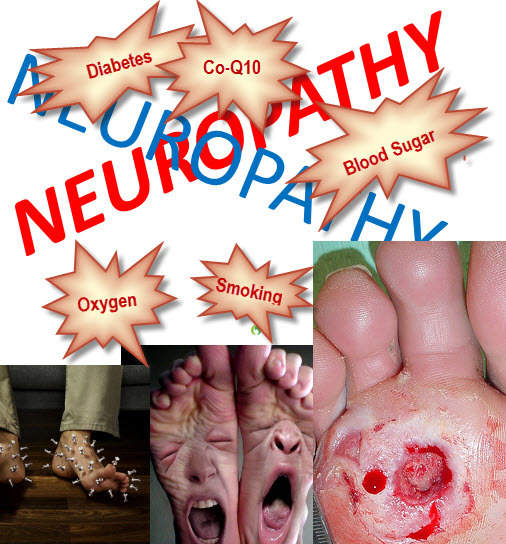 Read Dr. Z's complete online "Neuropathy Relief"